Debt ceiling politics is complicated. But the arithmetic is simple. 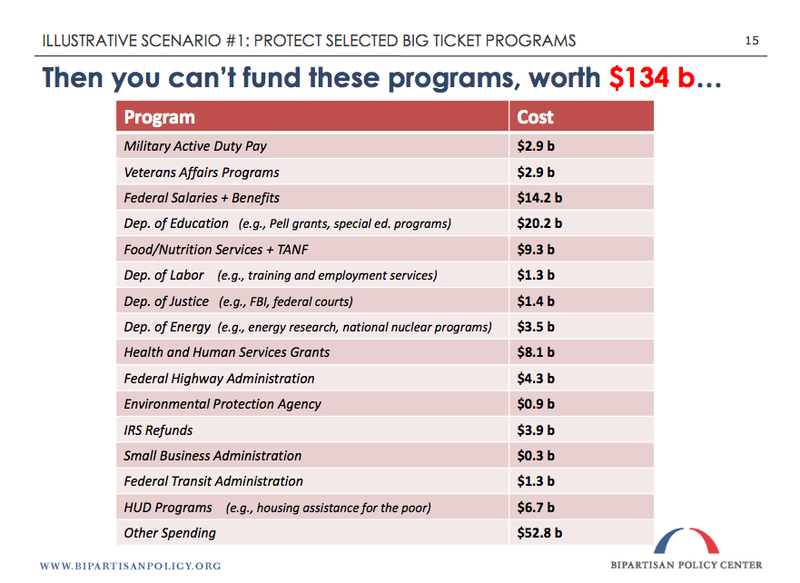 For every $10 the U.S. spends, roughly speaking, the government collects $6 from taxpayers. It borrows the other $4. That means that in the occasion of a debt ceiling breach, we would only be able to fund 60% of promised spending. 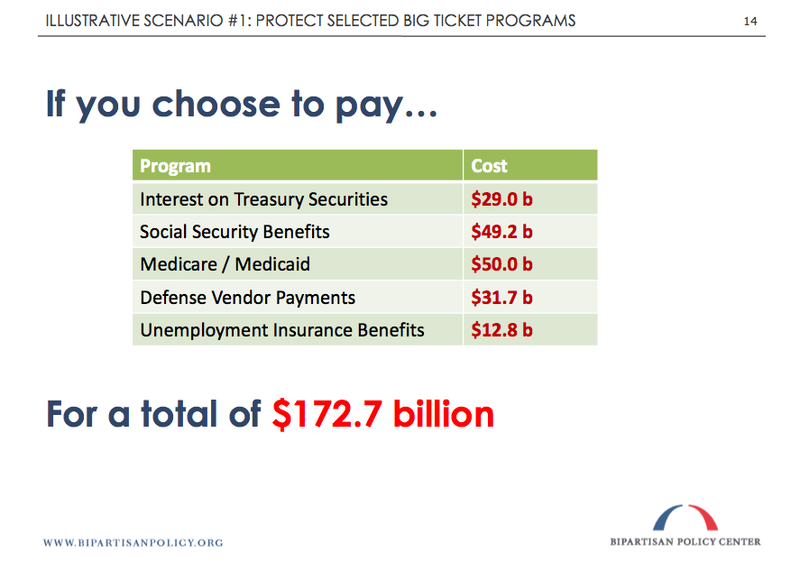 The Bipartisan Policy Center (via Stone Street Advisors) brings the details. If we miss the August 2 deadline and continue paying interest, entitlements, defense contracts, and unemployment benefits, we wouldn't be able to pay for just about everything else. And this is why we will raise the debt ceiling, no matter what. Congress and the White House won't preside over the elimination of military pay, veterans benefits, highway spending, food stamps, and college loans. Winston Churchill's wisdom endures. Americans can always be counted on to do the right thing...after they have exhausted all other possibilities.